Police scanners or radio scanners are devices that can listen in on locally available radio frequencies. People use these devices to listen to police operations, firefighters, airspace control, and just for fun. This article will cover some essential facts you need to know about police scanner frequencies. In some states, it is illegal to own a police scanner, or even to use your smartphone as a police scanner. However, certain states allow people to enjoy using these devices as long as they don’t listen to certain frequencies. In states like New York, Kentucky, Florida, Indiana, and Minnesota, you will have to get permission from the relevant authorities before listening to police frequencies. In many other places, you are allowed to listen to these frequencies but might get convicted if you use the information to aid in a crime. There are many legal aspects to consider when listening to specific frequencies. Make sure you know your local laws so that you don’t get into any trouble with the authorities. If you want to know more about this, check out our "In what states are police scanners illegal" article. It is always better to use your police scanner in your home as opposed to the outdoor environment. 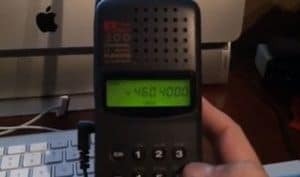 To get some frequencies on your handheld police scanner, you can just press the “scan” button and wait for it to capture certain frequencies. These can then be saved in relevant channels. If you have trouble finding specific frequencies, you should consider getting an external antenna for your police scanner. Sometimes, the radios fail to find frequencies you need. That is when you need to go out and find them manually. A good place to start would be at the store where you bought the police scanner. Sellers of radio scanners usually have some important frequencies to offer buyers of their devices. 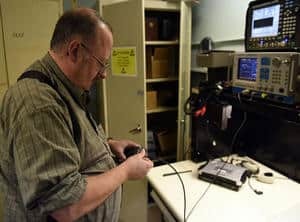 You can also get frequencies from radioreference.com. On this site, you can search for local frequencies or even widen your search to larger geographical regions. Once you get the frequencies, you can program them into the police scanner and store them under a specific channel. This is done by pressing the programming button, usually labeled as “prog.” Once the device’s screen starts blinking with the letters “CH,” you can release the programming button and enter the frequency you intend to save. Normally, the frequencies have five or six numbers and have a decimal point separating the numbers. For example, a frequency could be 123.456. Then you can exit programming mode by pressing the programming button again. Some of these buttons may be labeled slightly different, so you might want to first refer to your user manual before you begin the process. The possibilities are endless with these devices. Traditionally, police scanners were used to monitor crime, the fire department, emergency services, aircraft operations, the media, local and federal agencies, and utility companies. These are still popular frequencies to follow. However, more and more people are starting to use police scanners for entertainment. 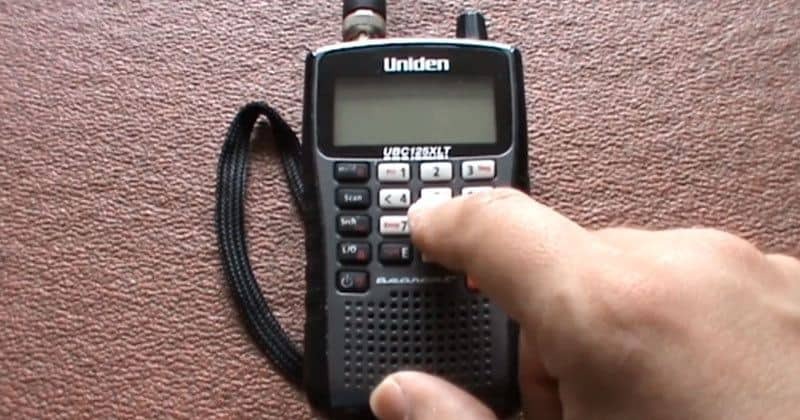 Many hobbyists groups have radio frequencies, and these can be found on their websites or Facebook pages. 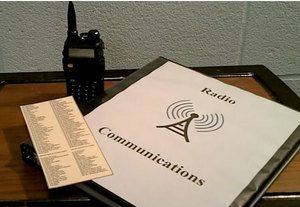 Some radio scanners are designed to accommodate alpha and alphanumeric displays. This means you can save a channel by its name. These devices usually have limits on the number of characters you can use. For this reason, you might have to save the New York police channel as NYPLC. The character limit is dependent on the type of scanner, and its manufacturer. We have already established that a channel is a group of frequencies that fall under the same category. A frequency band is different from a channel. Bands are a range of frequencies. For example, a band could range from 130 to 170 Mhz. The price of a police scanner does not have anything to do with reception. A more expensive scanner might only be able to get frequencies from a wider radius. Also, you might choose to buy a more expensive police scanner because of the features. For example, more advanced devices will enable you to save channels under their names. ZIP Code based scanning involves setting a specific ZIP Code as your central point. Then, you will have to select a range in miles. The police scanner will get all the frequencies in this range, which is based on your selected services. If a particular service is unavailable in the given radius, it will be grayed out as an indication of its unavailability. With ZIP Code based scanning, you don’t need to know much about programming the device. All the scanned frequencies will be saved under the service you choose. In some cases, you may not want to save a given frequency within the radius, but the scanner already picked it up. In that case, you can use the “avoid”’ button to block the frequency. Some scanners can only handle a maximum of 6 digits, meaning 7-digit frequencies will be inaccessible. In such cases, the scanner will simply move to the closest frequency available. For example, if you want to listen to 123.4567, it might move to 123.456 or 123.457. In some cases, the frequencies may be blocked entirely. For example, if you enter the frequency of a cell phone, the scanner will not be able to capture it. How Do Police Scanners Work?